THAT'S A WRAP ON ONE YELLOW RABBIT'S 33RD ANNUAL HIGH PERFORMANCE RODEO! We hope you enjoyed this year’s High Performance Rodeo! We brought you artistic works to entertain, inspire, challenge, and shock your wild side, and you took up the challenge. Use #HPRodeo and let us know what your favourite moments were. Your feedback is invaluable to us. We put this Rodeo on for you, Calgary! Stay tuned for sneak peaks into the 34th Annual High Performance Rodeo – Calgary's International Festival of the Arts. One Yellow Rabbit acknowledges that the land on which we gather and create is the traditional territories of the people of the Treaty 7 region in Southern Alberta, which includes the Blackfoot Confederacy (comprising Siksika, Piikani, and Kainai First Nations), the Tsuut'ina First Nation, and the Stoney Nakoda (including the Chiniki, Bearspaw, and Wesley First nations). The City of Calgary is also home to Métis Nation of Alberta, Region III. 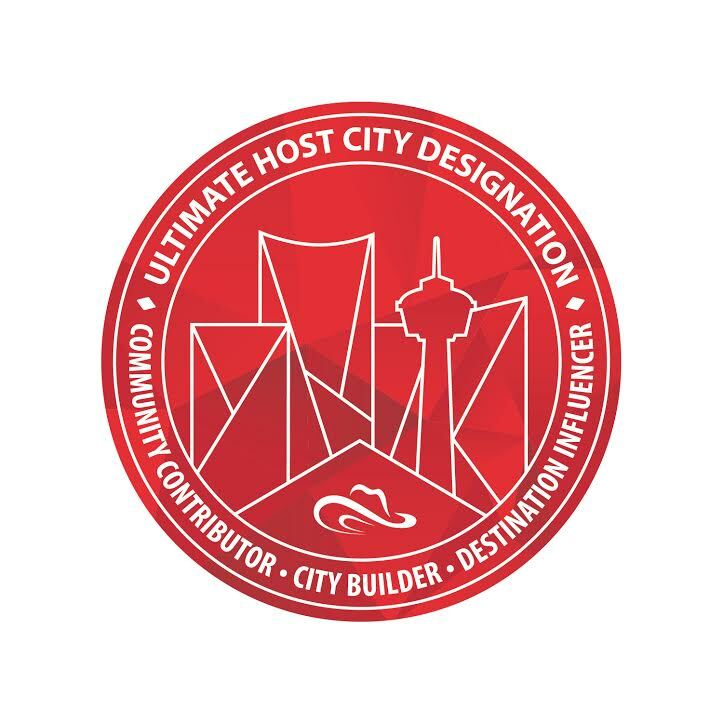 We pay tribute and recognition to the Indigenous people of the Treaty 7 region as the past, present and future stewards of this land, called "Moh'kins'tsis", the traditional Blackfoot name; which we now refer to as the City of Calgary. One Yellow Rabbit and the High Performance Rodeo strives to create a safe, welcoming, and inclusive environment for our communities. The act of giving territorial or land acknowledgment has now become a welcoming practice across Canada. In our efforts to embrace the language and spirit of reconciliation, we recognize that our practice will evolve as One Yellow Rabbit strengthens our relationships with local, national, and international Indigenous communities and artists. One Yellow Rabbit has and will always be committed to ensuring regular engagement with Indigenous and community leaders. High Performance Rodeo Addition #33: Wow. How time flies when you’re having fun! This year’s banquet of performances run an interesting track. Expect some thrills, some humour and all the feels in between. We’re focusing on the joy of expression in this go ‘round. We have exhilaration and physical humour virtuosity from France in the form of Cow Love, all the way to Canadian superstar Shane Koyczans’s high performance spoken word. Collaborations with Alberta Theatre Projects, Alberta Ballet, Calgary Philharmonic Orchestra and DJD, as always, bring elements of our performing arts community together to provide some heat in the depth of January’s deep freeze. Our aim is to keep Calgary hot in mid-winter and to light up the dark nights with the best undeniable works from Calgary, Canada and beyond. If this is your 33rd Rodeo, welcome back; and if it’s your first Rodeo, hold on tight, it’s going to be a wild ride! Whether you want to come to one show or buy a flex pass to multiple shows, come and say “Hi” at the Laycraft Lounge before or after the performance. The Rodeo Team is always happy to raise a glass and share the fun with you. 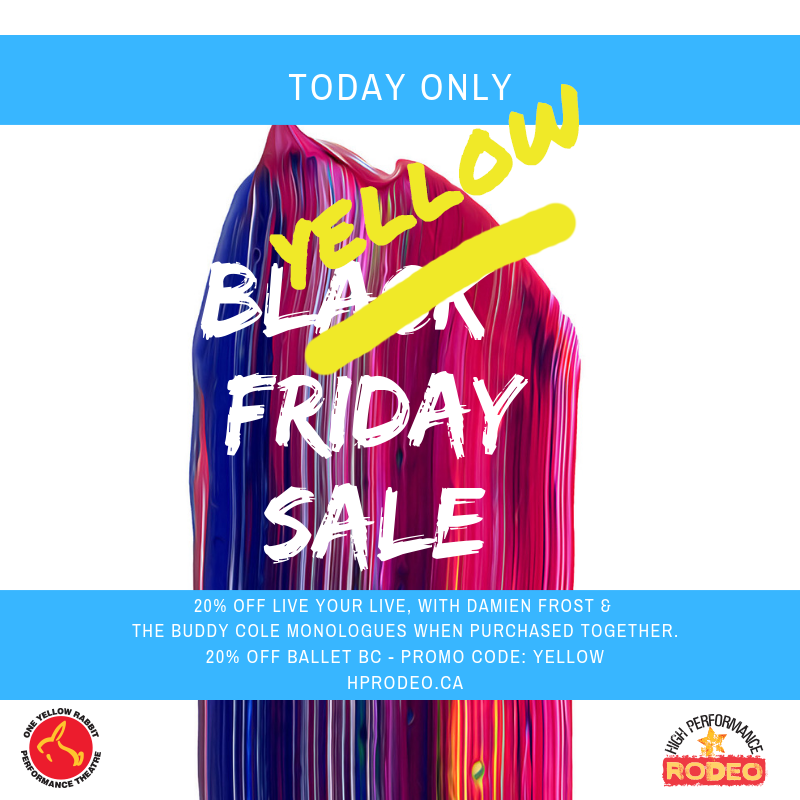 *20% off Tickets to Scott Thompson's hit show The Buddy Cole Monologues and One Yellow Rabbit's all-new docu-comedy about an ageing wellness guru featuring Canadian legend John Murrell and the One Yellow Rabbit ensemble in Live Your Prime, with Damien Frost when purchased together!. No Promo Code Required. Not valid for Wednesday performances. OFFER LIVE: Friday (Nov 30) @ 9 am until Sat (Dec 1) @ 9 am. Disclaimer: *Offer valid in select seating areas and performances. Discount applies to ticket price only (excludes taxes and fees). Tickets based on availability. Offer valid from 9am, November 30 to 9 am, December 1, 2018. It's not just a rodeo, it's a lifestyle! SIGN UP TO THE EXPRESS NEWSLETTER TODAY!